The team at Imagineer are delighted to announce The Wigley Group as the sponsor for BLOCK, a spectacular performance that blends dance and circus and is created by leading UK companies NoFit State Circus and Motionhouse. Part of the Festival of Imagineers, BLOCK takes place on Wednesday 19 September at the Cathedral Ruins at 8pm, some tickets are still available. BLOCK, is a powerful fusion of dance and circus that pushes the limits of both art forms. With its daring physicality, split-second timing and thrilling feats, BLOCK leaves audiences gasping. The sponsorship marks the start of a partnership between The Wigley Group and Imagineer who are working together on the new build and development of Daimler. Imagineer has a vision to re-develop the Daimler Building as a new Creation Centre for Coventry which will provide much-needed dedicated space for artists to create mainly outdoor and site-specific work, and for resident creative companies to deliver innovative programmes of education and training for children and young people. The re-developed Daimler Powerhouse will be a place where artists, engineers, architects and other creative industries can collaborate to make new work and where new and emerging practitioners can find professional support. Jane Hytch, Chief Executive of Imagineer said: “We are delighted that The Wigley Group have joined our list of fantastic local businesses who are supporting the Festival of Imagineers and amazing creative events and activities happening in Coventry. James Davies Managing Director The Wigley Group said: “Imagineer have been based at our Sandy Lane Business Park in Coventry for many years and as a long-time supporter, we are pleased to be sponsoring this performance as part of their Festival of Imagineers. 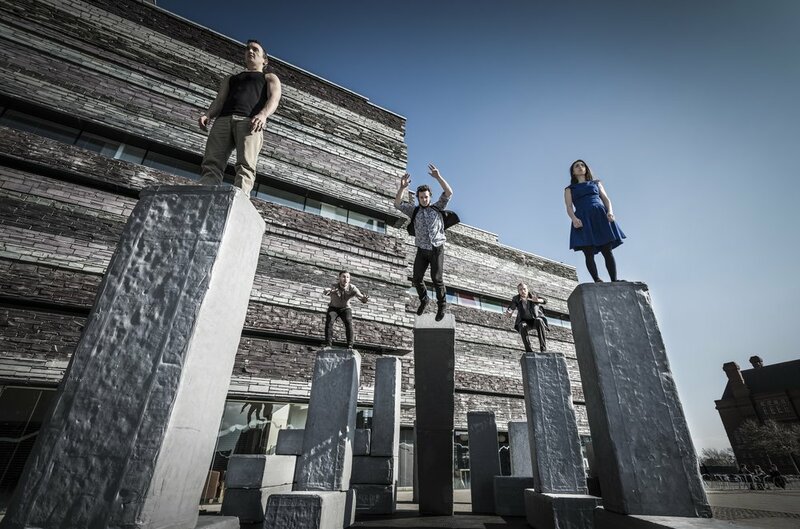 On Wednesday 19 September at the Cathedral Ruins expect twenty oversized blocks, fashioned to resemble giant concrete Jenga blocks, deconstructed and reformed into an infinite variety of shapes for the performers to play on, move with and explore. BLOCK is about life in the city; its contradictions and challenges. Festival of Imagineers runs from 17 – 22 September is supported by Arts Council England, Coventry University, Great Places, The Paul Hamlyn Foundation, City of Culture 2021, Arup, Medwell Hyde, IDP, The Garfield Weston Foundation, The Premier Group, Ramada, Coventry BID and The Wigley Group.